Straight from the Times of London is another story of American business schools teaching kids about everything except real business. Apparently the latest fad is "karma capitalism, and newly-minted MBA’s with newfound "inner peace"… but no experience… will miraculously be able to turn around nosediving businesses. Of course, as the article points out, this new fad is for "budding hedge fund managers, investment bankers, and venture capitalists"… and they often specialize in making businesses nosedive anyway. Now I guess they’ll be able to whack thousands of knowledge workers and feel even more at peace with themselves. Supposed bastions of business know-how, like Wharton, Harvard, Ross, and Kellogg, are adding the likes of Guru Parthasarathy, Ram Charan, CK Prahalad, and Vijay Govindarajan to their syllabi. They lecture on Vendanta, Bhagavad Gita, and conversations between Krishna and Arjuna. All great and interesting subjects, some of which even I have explored at various times in my life. But not in business school, and especially not in that cold snowy engineering school I went to. Those biz schools are moving even farther from delivering the basics of business management… the logic, the long-term view, and the execution. Let alone teaching about newfangled areas of thought such as innovative accounting concepts that focus on value delivered and not inventory amassed. Newfangled areas that many of us knuckle-dragging manufacturing types are already implementing in the real world. To be a leader, a manager should master Accountability Leadership, Collaborative Leadership and Contagious Leadership. He should get his or her arms around the Tao of Leadership and learn how to Lead From the Front and know Leadership That Works. There is Zen Leadership, Spiritual, Ethical, Inspirational and Moral Leadership – all separate approaches. There is a 5th Wave of Leadership to master (no first through fourth, however), along with Thought Leadership, Facilitative Leadership, Systematic Leadership and, most important, I would imagine, Grown Up Leadership. Bingo. Welcome to the real world. Luckily most of the new, inner-peaceful, MBA’s will never see a factory floor. Unluckily many of them will soon be in positions to send the factory floor to the deserts of Mongolia in search of peaceful cheaper labor while being peacefully oblivious to their new supply chain costs… because those costs don’t show up on peaceful standard cost accounting P&L. Last July we told you about a RSM McGladrey report on what is supposedly required for small and medium manufacturers to be successful. 62 pages of mumbo jumbo with fifteen "best practices" that range from the incredible insight of "devote time and energy to marketing" to the incredibly… uh… enlightening "look for a long-term relationship with a banker." Lean? Nope, no where to be found. We then created our own off-the-cuff list of real best practices, ranging from "a complete understanding of your real cost structure, regardless of how current reporting regulations compel you to think" to "a relentless focus on indentifying and destroying wasteful activities." Other readers added some of their own. These business schools, or "outsourcing centers of excellence" (OCE) as they should be called, would better serve their customers by analyzing and teaching the stories of success from Toyota, Danaher, Texas Nameplate, to name a few. How a focus on real business management is leadership, and how a real understanding of how truly successful companies work… and not how they appear to work on a traditional P&L… will create excellence. Maybe we need to get Bill a change of clothes so he’ll be invited into those ivory towers to teach about the real world. 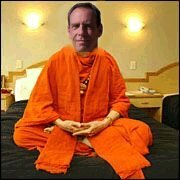 Wharton, say hello to Guru Bill. Damn funny! When do we get to see you in a swami outfit Kevin? Did you see the guru’s comments in the article? He even thinks it’s hogwash! Parthasarathy, however, is sceptical about his new role as guru-in-chief to America Inc. “The business community has appreciated my line of approach. But nobody knows what I’m talking about, just bits and pieces. I’m saying they need to develop their intellect, not simply their intelligence, which is just knowledge from external sources, to help earn a living. “Your intellect is your capacity to deal with the world, which is dormant in you. I ask people to think. People are doing business, but they don’t know why,” he said. He is sceptical of the prospects of many of his business students benefiting from his teaching. “Not a single soul has understood. At Kellogg, nobody understood. They said it was inspiring. They think I will help them make more money. It’s hype,” he said. Bhuddists everywhere have good cause to be insulted by the connection of my face with their religion; I, on the other hand, am flattered. Any connection to such a time honored religious organization can only help my reputation. Thanks. I don’t think C.K. 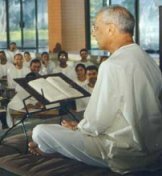 Prahalad is a spiritual guru type? Recognised the name because he wrote The Fortune at the Bottom of the Pyramid.